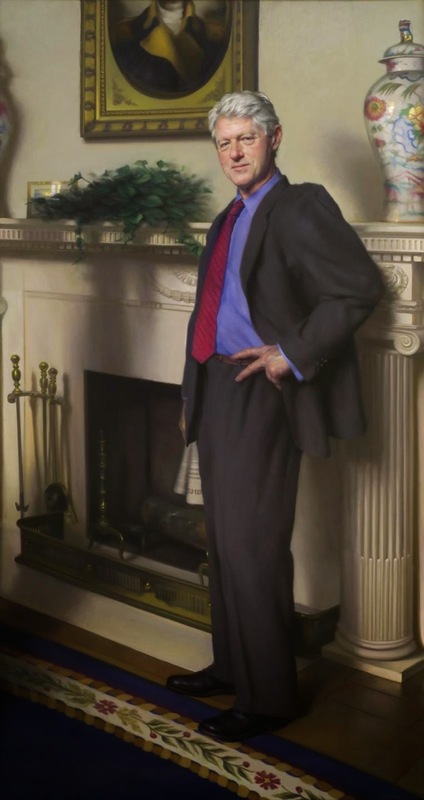 Stephanie Farr from the Philadelphia Daily News interviewed the well-known PA portrait artist Nelson Shanks, whose portrait of President Bill Clinton hangs at the NPG. Q: Who did you find was the hardest to capture? What a brilliant example of the power of an artist to make history! This will make this portrait the most famous and visited and chuckled about Presidential portrait at the NPG! Velazquez did something similar with a variety of hidden (and some later deleted) clues in Las Meninas centuries ago, and one of them, when discovered 500 years later, changed the Spanish crown's line to the throne from the first male born to the first born, period! I couldn't wait to contact a good friend at the NPG and ask him/her if the claim about the pressure being put on the NPG is true! Let me see if we/she/him can find some internal NPG emails on the subject that we can publish here!